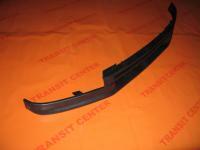 Ford Transit MK4 body parts include car part like front bumper and fender. Ford Transit MK4 body parts include car part like front bumper and fender. Explore a wide range of parts for Ford Transit MK4 model. These elements such as the glass and mask, the door lock or the handle, also a strip or a corner as well as the mechanisms and the fasteners. Of course, we also have a lift. Do you need the glass immediately? We will do everything to reach on time! If you would like to buy a hinge, a grille or the bumper, or any container, for example, to the cultic Ford Transit 1994 - no problem. Was your still beginning to leak? Have you maybe some problem with the lock? Don’t worry – in our online shop you can do the cheap and reliable shopping. The broken or just compact mirror isn’t also a disaster for the holder of the reputable vans, as the new mirror is waiting for the future owner at a bargain price. We encourage to contact with us by e-mail, as well in case of some problems connected with finding the wanted products on list of body parts. Everything, what corrosion destroyed in your Ford Transit MK4 1992, you may change or repair using the services of the Transit Center. Welcome.